Maybe it’s been awhile since you’ve been to the dentist, or even for our existing patients if you have not been in to see us at Hampstead Dental recently, you’ll be amazed at some recent advancements in dental technology. Dentistry, just like televisions, mobile phones and computers, is now totally state-of-the-art! 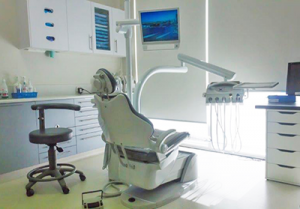 State-of-the-art equipment and procedures to provide you with the very best care. Take laser dentistry, for example. Dental lasers can be used to “prep” a tooth for a filling, to numb a tooth without a needle, to assist with healing after extractions, to accelerate treatment of gum disease, or to ensure better outcomes for root canal treatment. In the hands of our trained professionals, the benefits associated with them include drill-less dentistry, reduction in the need for anesthesia, and a reduced risk of infection. Our latest addition is Digital Scanning for cosmetic dentistry – which turns the former 1-hour+ appointments for preparing a crown, into around 40-mins for most people. And the need for 3 or 4 impressions with plaster is now gone! Plus the final crowns are made right here in Melbourne so are able to be fitted sooner, and fit better – as the new technology makes the whole process more seamless. Digital radiography provides us with images of your teeth and gums in a matter of seconds, not like in the “old days” when you had to wait for x-ray films to develop! And our intra-oral camera magnifies the surface areas of your teeth and gums to help locate specific problems that may require our attention. 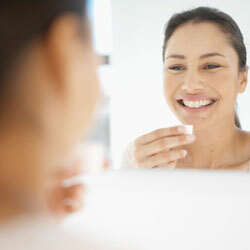 A range of other tests we have introduced include a transillumination test, which helps detect previously hard to spot crack inside teeth, as well as an Oral Cancer Screening to help combat one of the cancers that is on the rise in Australia. Our chair-side computers allow you to see results before they happen so you can decide on the treatment option that best suits your smile! They also give us access to your records and dental images to keep us on schedule so you’re in and out of here on time. 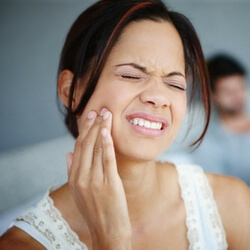 We do also offer a variety of sedation options for those who are anxious about their dental visits. And when it comes to planning for a dental implant, our dentist will be able to show you where the dental implant will go – so you have an idea of how the implant will look – before you commit to the treatment. 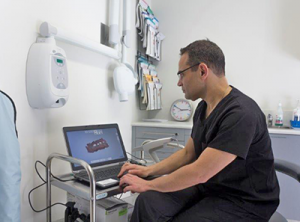 If you haven’t been to see us at Hampstead Dental for some time, or if it’s your first time to us,we would love to show you the ways we’ve integrated new technology to improve our service. Ask us about these options when you are booking your appointment!